4k00:30Dolly: Variety of processed cold meat products. 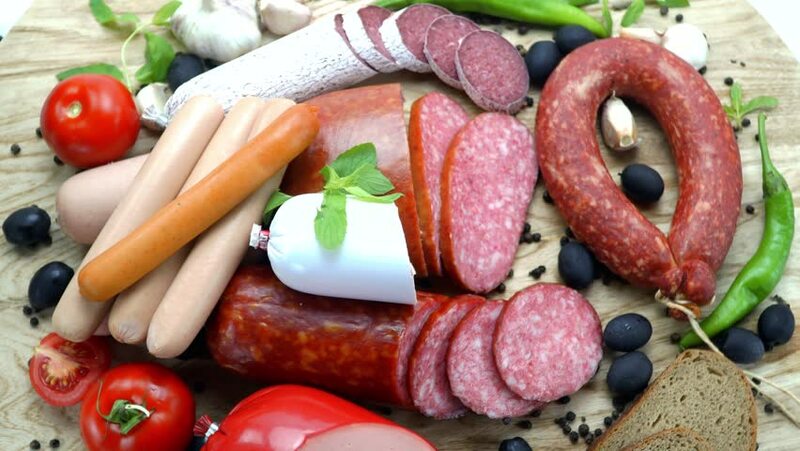 Assortment of smoked ham, sausages, pork and chicken meat with vegetables spices and herbs. Closeup of assorted meat on white background. 4k00:12Fresh vegetables. Salad made from tomatoes, cucumbars and lettuce turning in a plate.